Karl Stefanovic's replacement has been announced and it's first. Today's replacement for Karl Stefanovic has finally been announced. After much speculation and talk of who will replace Karl Stefanovic on the Today panel in 2019, his replacement has finally been announced. And it’s an exciting move forward for the Nine Network. In a revolutionary new move, co-host Georgie Gardner will be hosting the show along with respected journalist, Deborah Knight. It is a unique decision being the first time a major commercial television show will be lead completely by women. Along with the announcement, the network confirmed Tom Steinfort will be Today‘s newsreader, replacing Sylvia Jeffreys. Melbourne sports journalist Tony Jones will also join the new-look team from January 14, replacing Tim Gilbert, and former Triple J newsreader Brooke Boney will make her TV debut as entertainment reporter. Boney won’t exactly replace veteran Richard Wilkins, however. 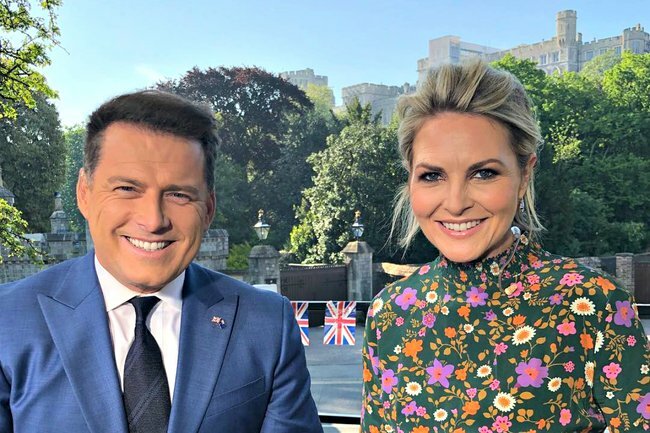 Channel Nine said Wilkins will remain part of the Today team, and will pick up two co-hosting days a week on Today Extra alongside Sonia Kruger. and I love to have a beer with Dickie, cause Dickie’s me mate ???????????? The new line-up comes after a year of poor ratings, and following the announcement Stefanovic would not be returning to the show he hosted for more than 14 years in 2019. The news came less than 24 hours after Peter Stefanovic announced he would be “exploring new opportunities” and stepping down from his role at Channel Nine. We’re excited to see what the new panel will look like and congratulate Knight in her new role.